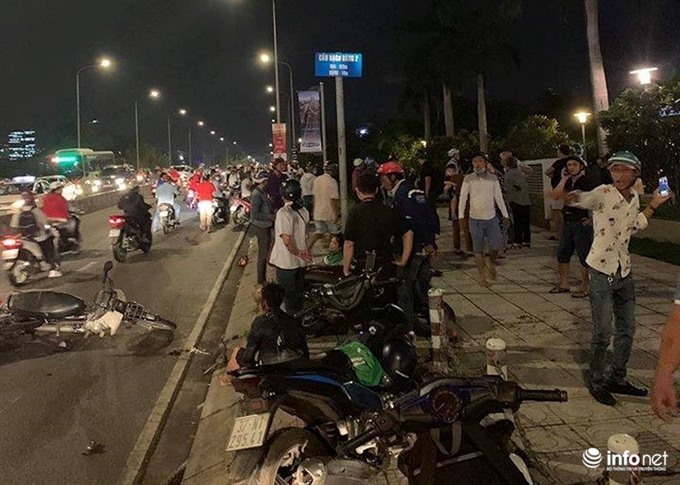 HCM CITY — One person died on the spot and four others were seriously injured after a car hit four motorbikes at about 6pm in HCM City’s Nguyễn Hữu Thọ Street, District 7, on Tuesday. A police investigation is ongoing. The driver of the car – a Toyota Innova – allegedly lost control of the vehicle and struck one motorbike before driving ahead into three others. 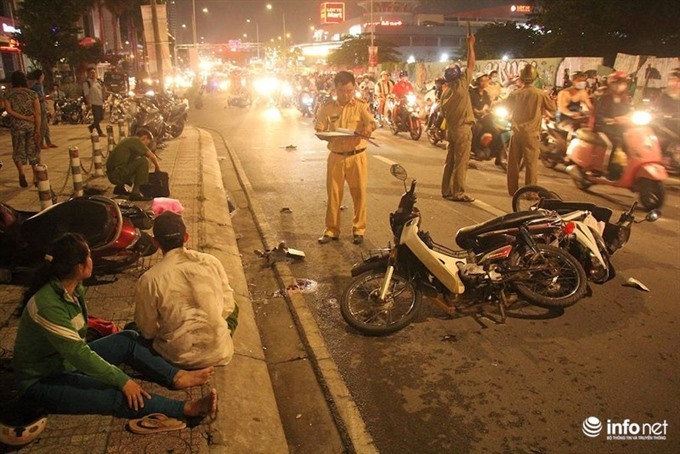 The people on the motorbikes hit the road and slid about 30m before the car crashed into a road barrier, plunged into the nearby grass and finally came to a halt. After the accident, the injured were immediately taken to a local hospital for treatment. Traffic was at a standstill for nearly three hours while police cleared the scene.